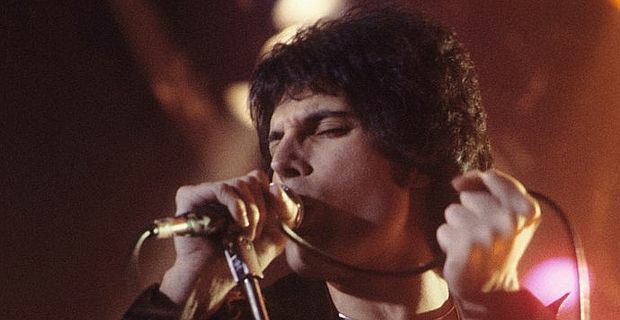 Queen’s Brian May has confirmed that work is still going ahead on the Freddie Mercury biopic, with a 2014 release date scheduled. There have been some setbacks and delays, but May said the production was back on track. Sacha Baron Cohen, the comedian also known as Ali G and Borat, plays Mercury. The film is scripted by Peter Morgan, who, having written the screenplay for The Queen, has turned his hand to writing about the Queen singer. "The pieces are all falling into place," May said on his website, "though we are now on a slightly later schedule - filming is now scheduled to start in the spring. The film should be ready for release early in 2014." May and Queen drummer Roger Taylor are closely involved with the production, in addition to performing occasional gigs with Adam Lambert as their replacement vocalist. "We did make some other plans, but they will have to stay under wraps for now," May said. "Being in Queen is – bizarrely – as full of surprising twists and turns as ever - 40 years since we first got together, and 20 years after losing Freddie. But of course Freddie is in so many ways very much alive. He must be wryly smiling somewhere!" Mercury’s most recent appearance was in the form of an Angry Bird in a special edition of the video game released last month. The Angry Bird version of the singer featured in a special animation to raise funds for Mercury Phoenix Trust - Fighting Aids Worldwide.